St Petersburg’s Pulkovo Airport (LED), Russia’s fourth largest airport by passenger numbers, is struggling to increase its transfer traffic. Of the 18.1 million passengers which passed through the airport last year, only four per cent were transit travellers. Rossiya Airlines, which became a subsidiary of the Aeroflot Group in 2014, remains the main generator of transfer traffic (87 per cent in total) by carrying some 500,000 transfer passengers on its flights in 2018, the majority of whom were travelling from Russian cities to European destinations, the airline reveals. Other contributors to Pulkovo’s transfer business are carriers S7 Airlines, Ural Airlines and Nordavia. Pulkovo, which is operated by Northern Capital Gateway (NCG) has, for more than a decade, harboured ambitions to become a significant hub. To keep this dream alive NCG has implemented a number of projects including, constructing a new terminal to bring domestic and international flights under one roof, as they were previously handled in different terminals separated by two runways. But enticing a major airline to base its operations at Pulkovo, a prerequisite for a successful hub, remains a sticking point. Some hope arose when Transaero Airlines, then Russia’s second largest air carrier, moved part of its operations to Pulkovo, but it soon left the market. 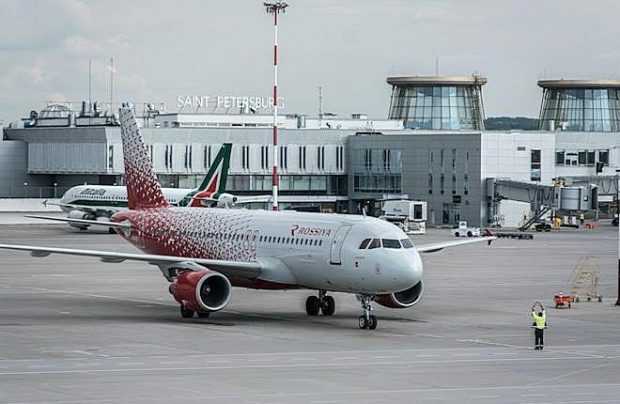 Meanwhile, Rossiya Airlines appears to be in no hurry to establish hub operations at the airport just 660 km from its parent Aeroflot’s main Moscow Sheremetyevo nest. NCG even made an attempt to go it alone, supported by the administration of St Petersburg. In addition to proffering a number of incentives to attract airlines, the company has, since 2015, implemented and promoted an M2 programme, also referred to as Closed Fare, which is a platform that allows the airport to offer passengers connections between flights on airlines that do not have interline agreements. In this scenario, the airport takes responsibility for arranging the through fare and handling the passengers’ baggage transfers between the two legs. The scheme was developed by Russia’s Transport Clearing House. Other NCG initiatives include proactively working with the Russian government to introduce an open-skies policy in Pulkovo and also offer visa-free periods for foreign travellers. However, strong competition from nearby large hubs such as Moscow’s Shremetyevo, Domodedovo and Vnukovo, as well as from Helsinki in Finland, and also the developing airports located in the Baltic states, are impeding Pulkovo’s progress, as much as Rossiya’s reluctance to go with NCG’s plans. Rossiya bases half of its 60-strong fleet at Pulkovo. Last year it carried 5.5 million passengers through the St Petersburg airport.